New analysis says 30 million Americans still won't have coverage under PPACA. 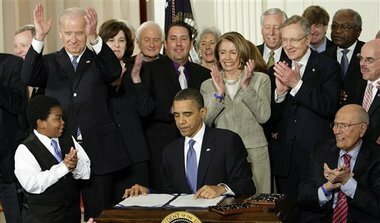 Obama signs the Patient Protection and Affordable Care Act into law in 2010. Associated Press. Though the goal of the Patient Protection and Affordable Care Act is to extend health care coverage to most Americans, 30 million Americans still won’t have coverage under the law by 2016, according to new analysis in the journal Health Affairs.